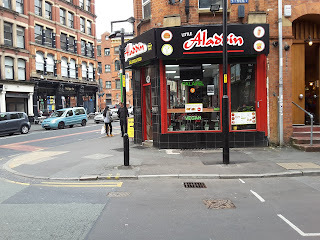 Little Aladdin is a takeaway that has been around for many years. 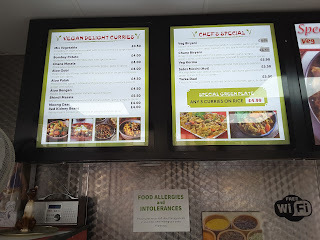 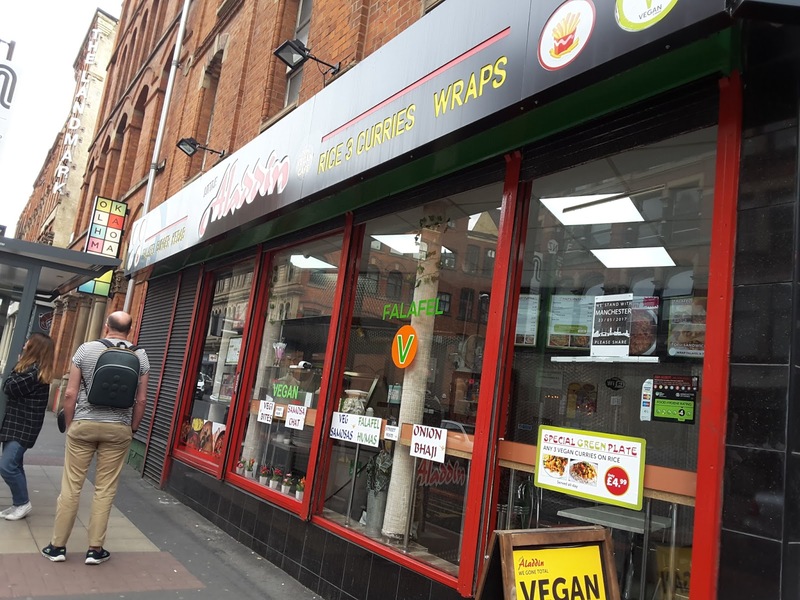 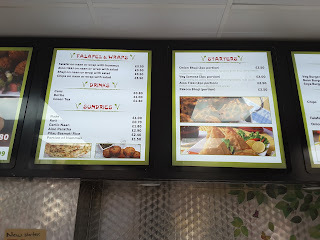 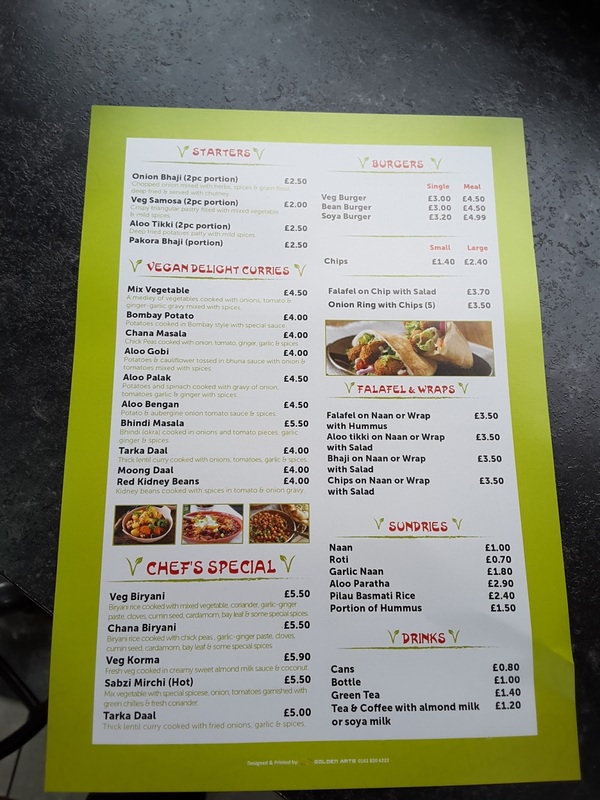 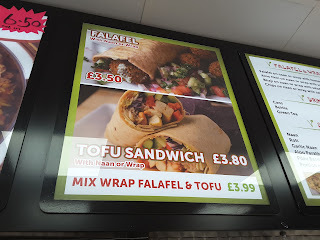 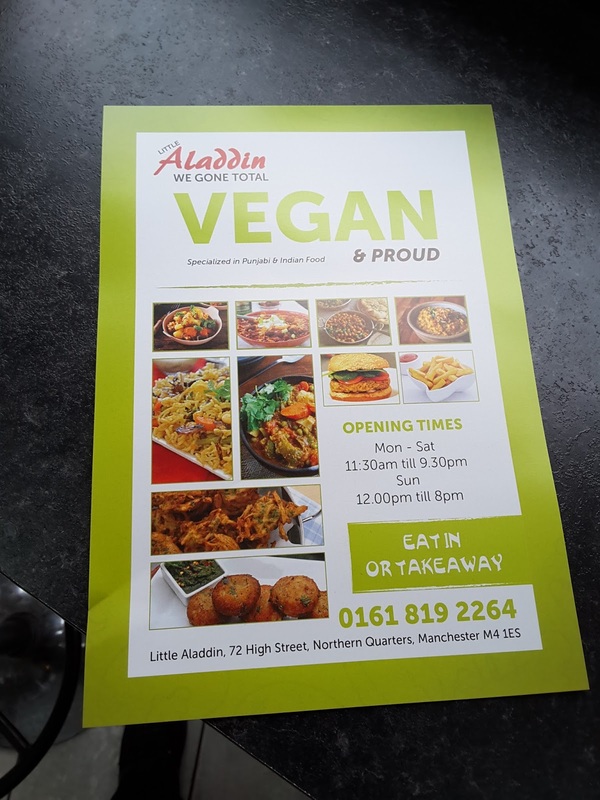 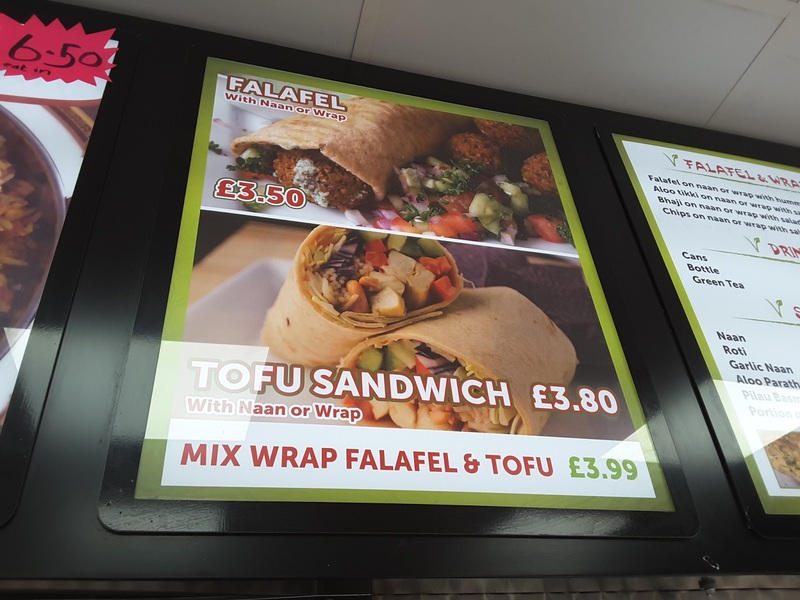 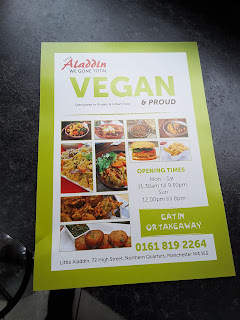 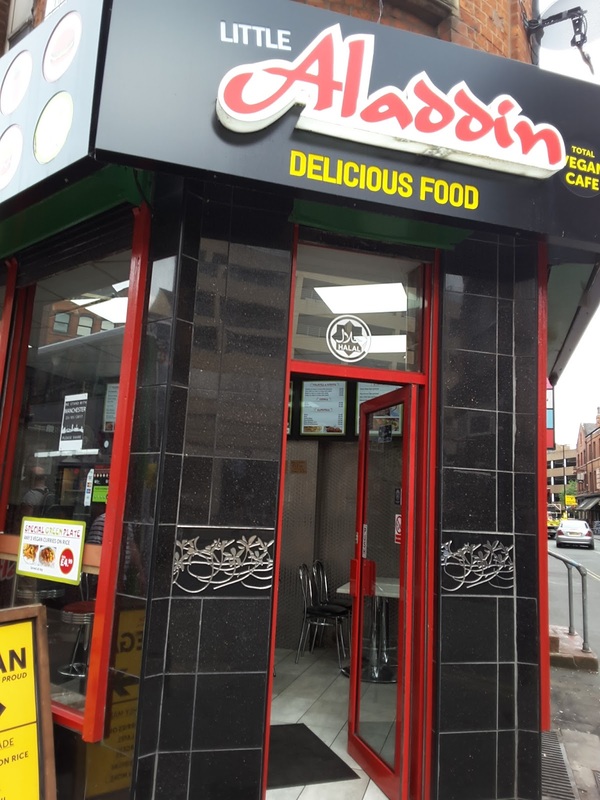 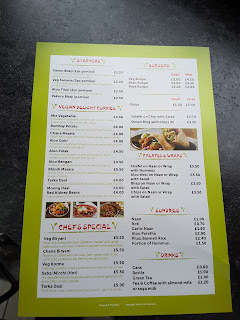 Situated on High Street, opposite Dough and around the corner from the Arndale Centre, Little Aladdin transitioned to become the first 100% vegan takeaway in the city centre in 2016. It's not ashamed to be vegan either, with a large sandwich board outside the shop proclaiming that it is vegan and proud. 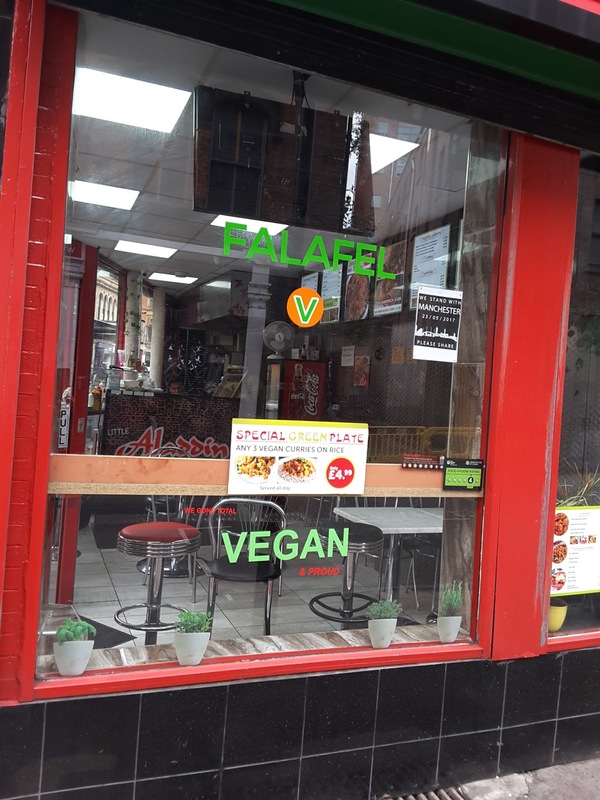 This gem serves a range of 15 different vegan curries, including Manchester's famous rice & 3 curries for £4.99. 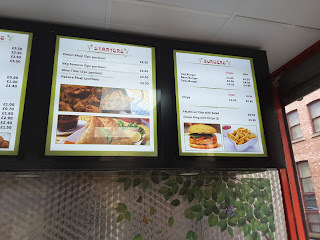 There is a choice of 3 different burgers - soya, spicy bean and vegetable. Also offered is a variety of falafel/tofu/bhaji/chip wraps, vegan naan breads, Indian starters, and of course onion rings. 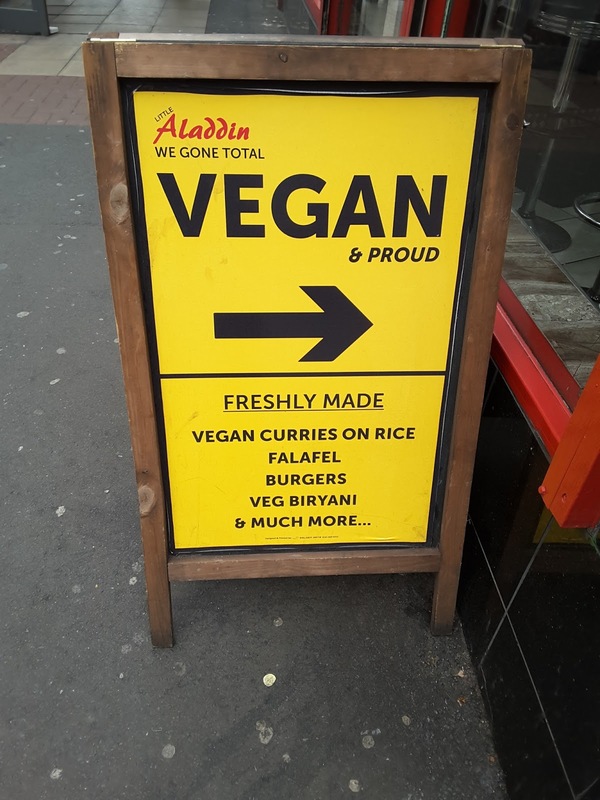 There's even vegan mayonnaise for your chips and burgers. 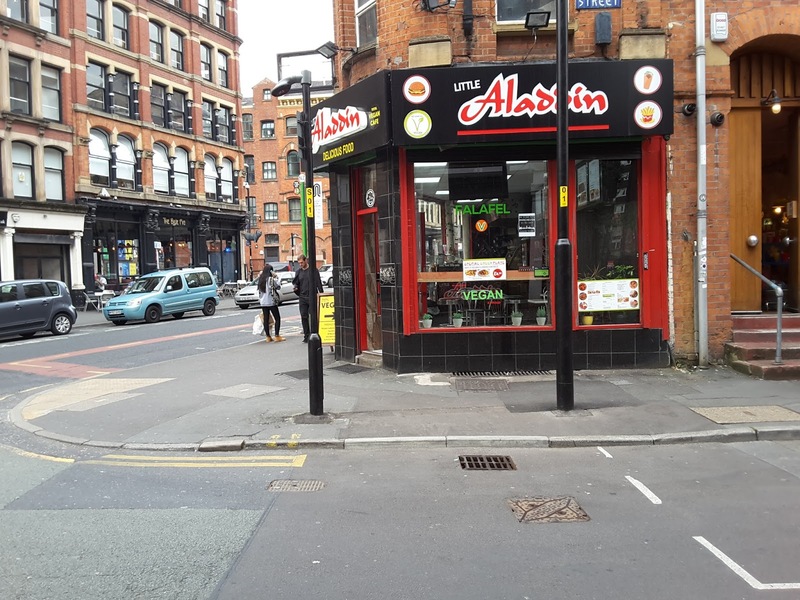 Little Alladin has fast become my go to place for a cheap bite to eat either on my lunch at work or if I have some time to kill in the evening in town.